Today's Bootcamp post goes hand-in-hand with our current SpoonChallenge content. 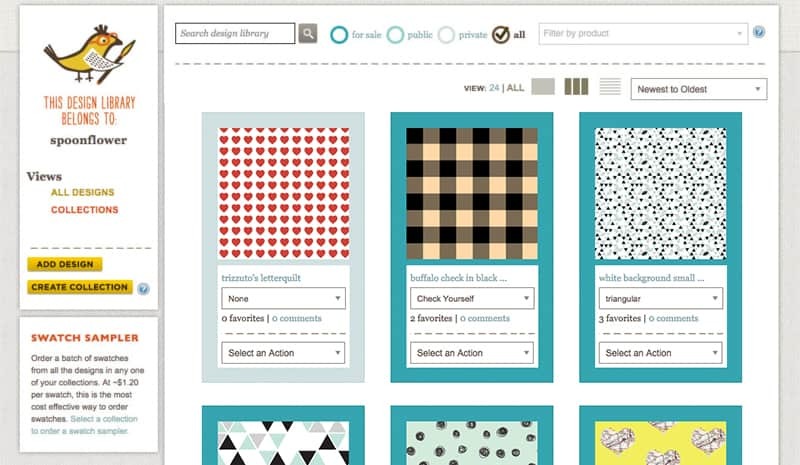 While working on your collections, as instructed by Bonnie Christine, you'll want to upload them to Spoonflower and add them to a collection in your Design Library. Here, our help team walks you through the step-by-step process of doing just that! Why put designs in collections? Creating collections is a simple process that allows you to keep your designs organized and grouped together based on color palette, theme or even season. 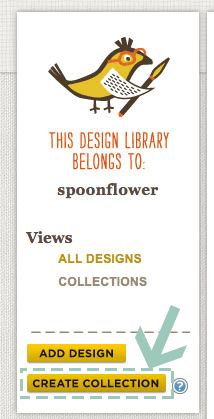 Step 1: Navigate to your Spoonflower Design Library. Step 2: Click on the CREATE COLLECTION button on the left hand side of the screen. Step 3: Fill out the Name and the Description of the collection, then click Create. Step 4: When you get back to your designs page, each design will have a new drop-down menu just below its name entitled Collection. Adding a design to a collection is just a matter of selecting the collection from this menu. Wait a couple seconds, and a 'done!' message will come up next to the design. If you want to view a collection, select the name of that collection from the View menu at the top of the page. You may create as many collections as you like, but keep in mind that a collection can contain a maximum of 30 designs, and a design can be placed into only one collection. A Swatch Sampler is like an old-fashioned contact sheet; it puts an 8"x8" swatch of each design in a collection onto a single piece of fabric. At as little as ~$1.20 per swatch, this is the most cost effective way to order swatches at Spoonflower. 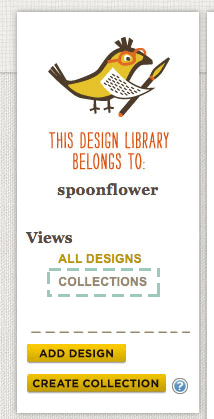 Step 1: Visit your Design Library. Step 2: Click on “Collections” on the left hand side of your screen. 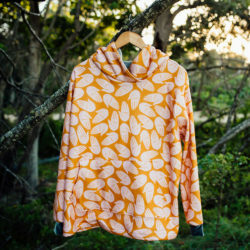 Step 3: Select the collection you would like to order, and click on the thumbnail, you will be taken to a new screen where you will see all the designs associated to the collection. Step 4: Click on the Get Sampler button on the right hand side of your screen, the item will be added to your shopping cart! 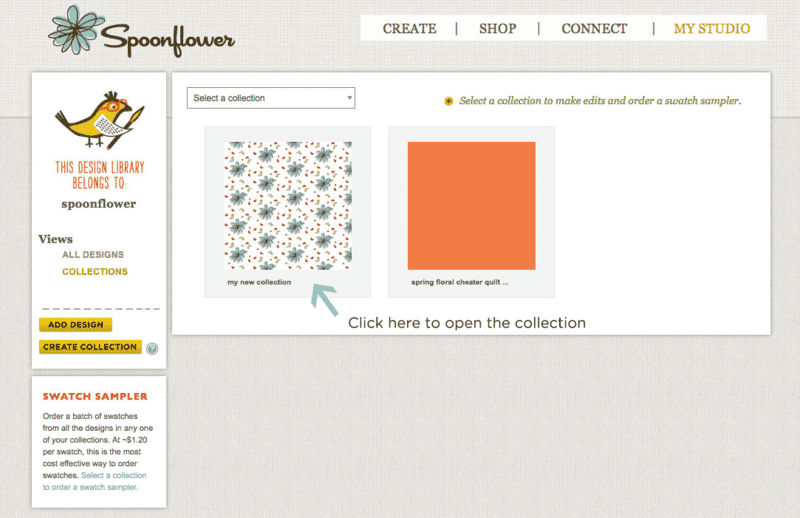 Now you have the knowledge to create your own collections in your Spoonflower Design Library! 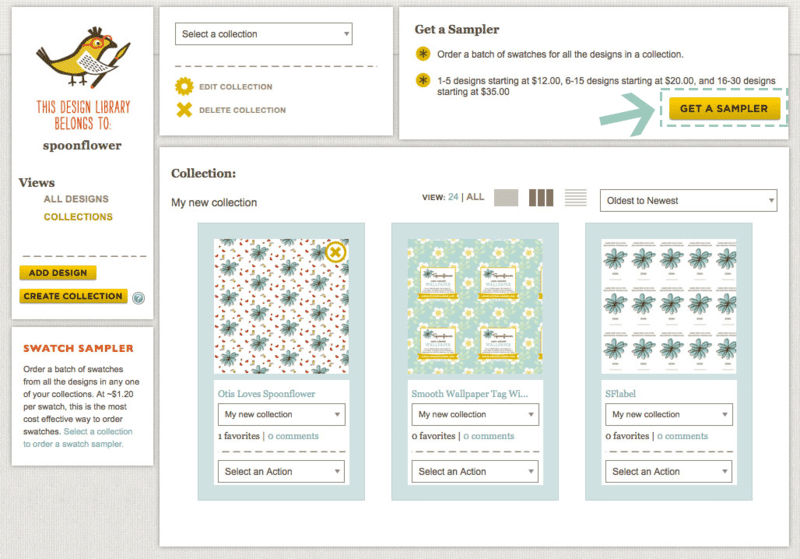 Use this skill to order swatch samplers and get your Spoonflower shop in tip-top shape! very useful advice. 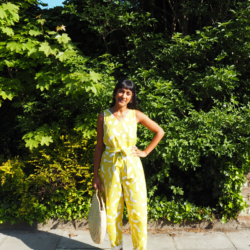 I have decided to add lots of new designs with several different colour combinations, so this Bootcamp post has clarified many points.